iVend Retail with SAP Business One is an end-to-end, omnichannel retail management solution that covers everything from POS to back office to head office operations. An iVend Retail setup can range from a single outlet to a multi-geography store environment, with complete integration of day-to-day operations. SAP is a world-wide market and technology leader in client and server enterprise application software, providing solutions for companies of all sizes and industry sectors. iVend Retail with SAP Business One is an affordable, integrated solution designed to empower growing SMBs and large enterprises with omnichannel capabilities and powerful workflows. 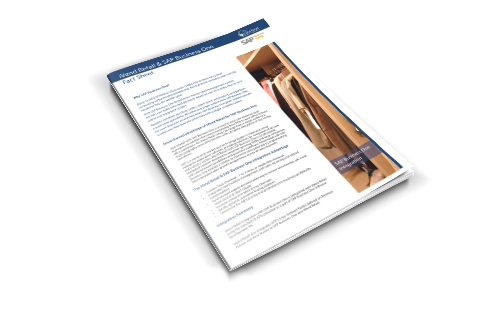 iVend Retail with SAP Business One enables a retailer to maximize sales potential by implementing fully-integrated sales growth programmes across all sales channels.